Tile and Grout Cleaning Bayswater – We offer the best tile cleaning, grout cleaning, floor restoration, tile & grout sealing services!! We help you restore your home tiles and grout to look like new. Fresh Tile and Grout Cleaning Bayswater offers FLAT price of $5 per sqm for residential tile cleaning, grout cleaning and tile sealing services in Bayswater. Victoria’s best tile and grout cleaning cleaners experienced in cleaning all types of surfaces. Fresh Tile Cleaning is the place where all your concerns related to your tile areas are getting resolved. The cleaning team of our professionals is highly trained and experienced and possess all advanced tools to bring you the best results for tile cleaning Bayswater. Contact us for same day tile cleaning services. Grab 15% 😀 Discount deals on Tile and Grout Cleaning Bayswater. Call now at 1800 233 141 to avail our budget ⭐ tile restoration services. The team of our specialized cleaners offers complete solution solutions for tile and grout including tile and grout cleaning, minor tile repairs, grout re-coloring, tile polishing, tile restoration, tile mould & algae treatment, slippery floor treatment, epoxy grouting & regrouting, High-Pressure Cleaning, marble restoration and more. Call us 1800 233 141 on for the same day service! 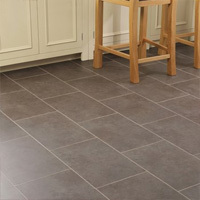 One of the best ways to prevent stains and accumulation of dirt and debris from your floor is sealing the tiles. And Fresh Tile Cleaning is capable of performing tile sealing process with the right skills and efficiency in the least possible time. So, keep your beautiful tiled floor away from those stubborn stains and dirt with our specialised Tile Sealing Services. Epoxy grouting is one of the best ways to repel stains, grime and contaminants from your tile grouts. The grouts are made up of highly porous materials that attract soil, impurities and pollutants and make look the entire tile surface ugly. That is when epoxy grouting come to your rescue. The professionals of Fresh Tile Cleaning offer amazing services for epoxy grouting and regrouting. 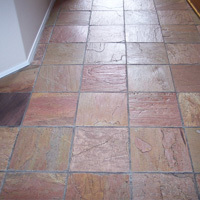 We also offer stone and tile polishing services in Bayswater. We use very high-power diamond disc machines to give your stones and tiles reflective finish. The advanced technology used by these machines removes scratches and marks from the floors that are not possible to see with the naked human eye. Polished floors have small pores, which means fewer chances of dirt and grime accumulation. Tiles placed in your bathrooms and kitchen require extra attention and routine cleaning. As they come in contact with water and harbour germs they can get affected by mould. Mould is a fungus that appears as a thick black layer on the surface of tiles. Mould is hazardous to your health and can spread around your homes leading to diseases and illness. Fresh Tile Cleaning is a renowned brand that can deliver Tile Grout Mould Removal service for you in Bayswater. We use high-quality anti-mould products and deliver perfect mould removal using special equipment. 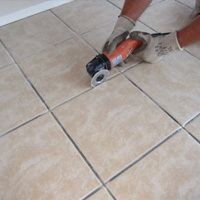 Hire Fresh tile cleaning for affordable and effective tile mould removal service today. We clean all kinds of tile & grout floor across Bayswater. High-Pressure Rinsing- We make use of high-pressure water and extract your tiles and grouts efficiently.